pilots have lost their skills of dead reckoning and map reading. During my first year in the industry, I had heard so many stories of what is wrong with aviation today, particularly in Australia, I was almost convinced that taking on a commercial pilot’s licence was riskier than becoming an alligator wrestler (my other career option). By all accounts, general aviation (GA) was in a death spiral, the only jobs available were in the bush, and a pilot’s licence would surely lead to debt, regret and a lifetime of misery. Nine years later, I’m still here, enjoying a diverse career in aviation. 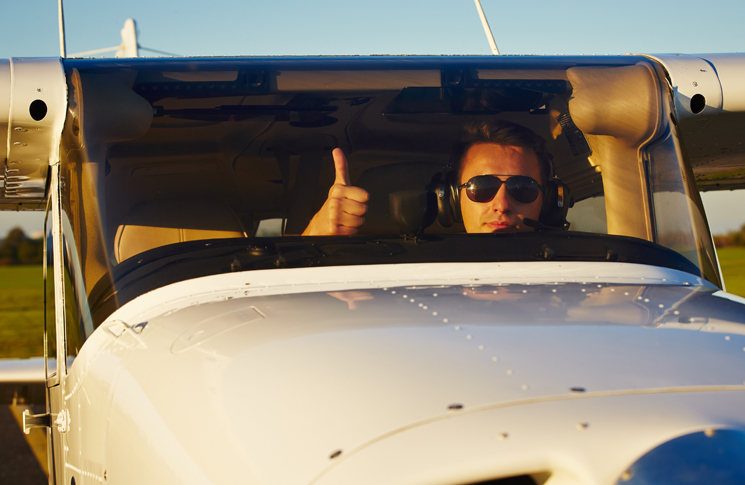 But, I am wondering—would I recommend general aviation as a hobby, or as a career, to a young person today? There has never been a safer time to become a pilot. Air transport accidents are virtually nil and general aviation accidents and incidents have reduced significantly in the United States. (In 1969, there were 4767 accidents resulting in 1459 fatalities—a rate of 18.8 accidents per 100,000 hours flown. In 2009, there were 1474 accidents resulting in 474 fatalities—a rate of 7.20 accidents per 100,000 hours flown1). Changes in safety awareness—largely due to more comprehensive pilot training, safety promotion through seminars and events and an increase in safety resources via the internet—have contributed to lower accident and incident rates for GA. 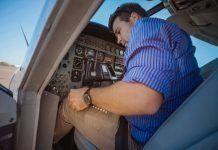 The Australian Transport Safety Bureau (ATSB) has recently placed a focus on accident reporting within general aviation, striving to make the reporting process easier, clearer and less onerous for pilots and operators. With increased reporting comes increased awareness of the cause of accidents, leading to further improvements in training and education. Similarly, the corresponding number of GA incidents has decreased significantly since 2009, and credit is due to myriad factors, including advancements in aircraft design, improved training and an increased culture of safety awareness. Additionally, modern technology has been instrumental in lowering the ongoing costs of flying. An electronic flight bag (EFB) subscription is significantly cheaper than the repeated cost of maps, charts and ERSA, with savings of up to $1300 per year. EFBs have considerably reduced planning time (and time is money!). Competition between app developers ensures endless new features, which lead to savings. Even the hand-held, but often expensive GPS, dominant among VFR pilots of 20 years ago, has been largely consigned to history. As the 1980s came to an end, the airline segment was blossoming with amazing new capabilities for flight management. Inertial navigation systems were enabling accurate, self-contained, long-range navigation, so that airlines were able to stretch distance boundaries, but more safely at the same time, and with much less dependence on ground-based navigation aids. Soon after, GPS began appearing in GA cockpits, initially as hand-held, supplementary devices, and later as the enabler for a whole new world of flight capability. The concept of an aeroplane that always knows where it is has enabled straight-in instrument approach procedures and performance-based navigation (PBN) for general aviation in a way no one could have dreamed about 50 years ago. But it’s not just IFR aircraft that benefit: new aeroplanes, including many in the sport and recreational sectors, now have options for autopilots, engine monitoring and flight management displays that have changed the way we fly. What’s interesting is how these capabilities have been so rapidly adopted by the sport aircraft sector, where regulatory certification is often less prescriptive. It’s not just comfort and speed that would drive almost every modern pilot to one of the larger 2018-era composite light sport recreational aircraft, rather than a 1965-equipped metal piston single, when tasked with a 300 nautical mile VFR trip. For over a decade, there has there been a revolution in aircraft avionics, but most engine designs have remained largely the same since the 1940s. In the meantime, the cost of avgas has, and continues to rocket, with a devastating effect on hire rates. The modern aero diesel engine—first showcased by Diamond Aircraft in their DA40s and DA42s—had a slow start, but the market is persisting, due to the scarcity of avgas in parts of Europe, as well as the increase in fuel costs around the world.3 It’s not just Diamond, either: in recent years both Cessna and Piper have begun offering diesel technology in some popular models. Rotax has made a considerable impact in the light aircraft market with its fuel-efficient, low-cost engines, which supply over 220 aircraft manufacturers. In the last decade, Rotax launched the 912iS, a fuel-injected, energy-efficient, low-cost engine with lower carbon dioxide (CO2) emissions and excellent power-to-weight ratio. However, with environmental demands for change across the world, the brightest potential star of the future is electric power.4 While acknowledging that significant range limitations are a current issue, progress has already been made in the training market, where an hour of solar/electric powered flight is sustainable right now. Rapid improvements in battery and motor technology will see these issues dissipate, and an eco-friendly, low-emissions alternative for many small aircraft operations looks likely to emerge in the next decade. Pipistrel Aircraft is already producing an electric aircraft trainer called the Alpha, with has a battery life of just over an hour. Its energy costs are about $3 an hour. Pipistrel is also developing a four-seat electric aircraft called the Panthera (www.panthera-aircraft.com). Electric aircraft will reduce the cost of flight training, by lowering fuel and maintenance costs. 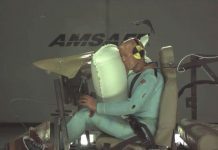 There’s also the added benefit of improved flight safety, due to the reliability of electric motors in comparison to piston engines, all of which is good news for future pilots. Further into the future, the potential of the VTOL5 electric aircraft may be realised. It may sound like an episode of Black Mirror, but Boeing’s recent announcement6 of about $2 million in prizes for the invention of the world’s first personal aircraft suggests otherwise. They certainly don’t. 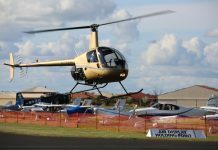 It’s been around a decade since the introduction of light and recreational aircraft, and the market is flooded with choice. A far cry from the traditional metal-riveted aircraft of the 70s—although, of course, these much-loved classics are still marketplace position holders as well—the variety of aircraft today is as diverse as the variety of aerial adventures. Advancements in composite materials, avionics and engines have equally led to significant developments in general aviation aircraft. Cirrus’s SR22 has been the best-selling single engine piston for over a decade, with their aircraft, along with Diamond’s DA40 and DA42, now a popular training choice. The experimental category is brimming with fine examples of cost-efficient builds, allowing pilots to customise their aircraft to suit their aviation needs. Competition stabilises cost, and with each new generation of light composite aircraft there are cost savings in fuel and maintenance. With choice comes diversity, and with diversity the industry attracts expansion, from aircraft types to the differing kinds of people who fly them. Since researching this article, I am more aware than ever of the negative and emotive opinions of our industry’s failings. Twice, I was asked if I had taken up writing fiction by even attempting to highlight the positives in general aviation. I understand that there are many frustrated pilots who feel that things aren’t as good as they once were—that general aviation is failing them in some way, be it the medical system, the examination structure or the ever-increasing cost of fuel. Every pilot I spoke to had their own particular gripe (and I certainly have my own). But the truth is inescapable: aircraft technology is improving, and new aircraft are safer and more capable than ever before. Aircraft are one thing: but the industry that owns, operates and maintains them is another. Sometimes it seems that technology-driven advances are taking us backward: human factors safety concerns about excessive reliance on GPS by VFR pilots, is one example, while distraction by the rolling program of visual displays in front of pilots in every new aeroplane is another. These great changes are blurring the lines between ‘traditional’ GA and the recreational aircraft sectors, the latter pushing into speed, range and capability boundaries that were once the exclusive domain of riveted, all-metal light aircraft with post-World War II engines. Many, many private pilots have already voted with their feet. But while the aeronautical engineers at today’s manufacturers have given us so much, sadly VFR flight in IMC, fuel exhaustion/starvation and handling accidents close to the ground, continue to feature as the top causes of GA accidents; and pilot numbers in traditional GA are falling. Change, however, does not occur by focussing on the negatives, by dismissing the possibility of improvements or by refusing to budge. In the words of Abraham Lincoln, ‘the best way to predict your future is to create it’. 1 https://www.aopa.org/about/general-aviation-statistics/general-aviation-safety-record-current-and-historic. 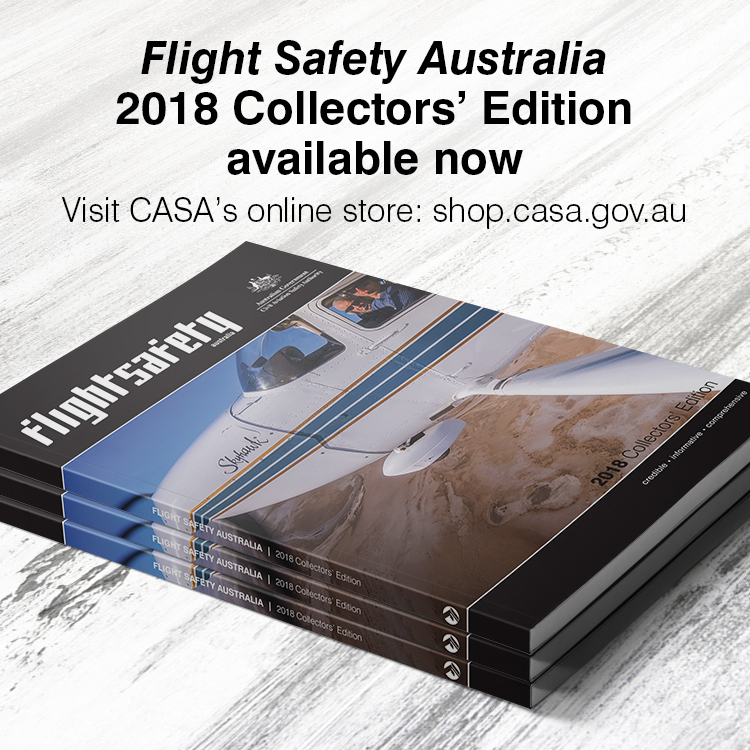 Consistent statistics across this period, inclusive of all general aviation aircraft, are not available for Australia. Whilst there are some obvious advantages compared to 30-50 yrs ago I don’t agree with the writer on many fronts. His “YES” feel good article is his opinion & that’s all it is! GA is dead, well almost, the opportunities to produce real pilots is all but gone, button pushers is all the Airlines want so they can coheres the timid into robots! RAA has certainly helped the average man on the street to be able to fly & own a plane (which is a good thing cause CASA has killed GA as we used to know it) but that’s all. It’s too easy to get a plane drivers ticket, always has been & it’s getting worse! Airmanship is zilch! The amount of W/E warriors out there who at an accident waiting to happen is scary! Take the GPS away & they are all but stuffed! Having flown many years in the RFDS I saw it all ! The Airlines left me totally disillusioned! Dysfunctional management, fatigue is rampant but we are not allowed to say that! HR are a bunch of wankers ! They create more problems than the oxygen they thieve! I am so glad I never encouraged my off spring to get into aviation, for that much I am grateful! HR & the ASIC/security ID are two of the multiple problems in aviation!! As above in support of the author, and she does not deserve to be trolled for her submissions to an important aviation safety forum. This person’s vast experience has obviously lead to a sad life. Flying has always been a joy (despite the many hurdles), and the improvements in technology and safety over the last 50 years have proved terrific. Trolled? Typical response when someone doesn’t like a diff opinion!! RAA has too much red tape 95.10 single seat under 30kg/m2 wing loading why do you have to need a licence, when FAA part 103 you dont ?? We all have diverse opinions as to where GA is going and been. However, since when was pesimism optimism? If we don’t get involved in the cures we should not whinge about the outcomes. Thè different aviation boďies NEED our collective inputs. Stop whinging and lamenting and do something constructive about the direction GA is taking. Go to a seminar, write the bodies directing, e ,mail your polies, support the local flying school or aero club. Articles like this are needed to create conversation and generate responses on forums. Go Kreisha, more please.